​90 Players From Around The Globe Set For Battle On The 2nd Leg Of The World Pool Series In New York. 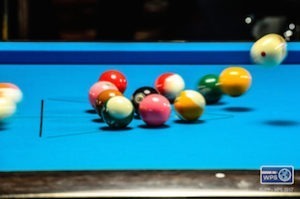 (New York City)–The very best in professional 8-ball takes center stage as the Aramith Masters, the second leg of the World Pool Series (WPS), is all set to commence on Wednesday morning at the Steinway Café-Billiards in Queens, New York City. 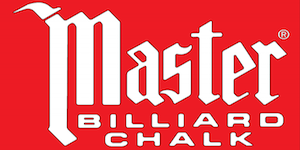 After a highly successful first event in January, the Molinari Players Championship, which was won by young Russian star Ruslan Chinahov, who topped an international cast of players from 35 countries, the Aramith Masters looks to set the bar even higher. 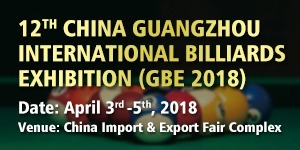 90 players from around the globe have descended upon New York’s bustling hub of pool to do battle for the top prize of $16,800. A total prize fund of $62,400 is up for grabs. The all-star cast, a who’s who of pool greats and others looking make their mark, will now play double elimination 8-ball, race to 9 through the round of 32. From there all matches will become single elimination best of three sets, race to six, similar to tennis. A unique feature of the World Pool Series is the use of the shootout to decide matches that have come down to a one rack decider. Similar to the shootout in soccer, the shootout will require players to try and pot long and difficult shots on the 8-ball. 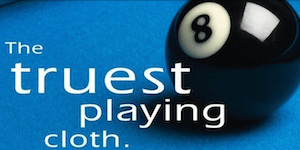 Each player will have five chances on the 8-ball and the player with the most points wins the match and moves on. In addition the Aramith Masters is expecting record worldwide viewership online as the WPS has partnered with Internet powerhouse UNILAD, who have agreed to take the WPS stream feed and broadcast it live via their massively popular Facebook platform. Launched in 2014, UNILAD is one of the biggest global platforms for breaking news, shareable and relatable content. Unilad has a Facebook following of over 18 million fans, 32 million monthly unique visitors to the website and over 3 billion video views a month. For the Aramith Masters, Unilad will be streaming two matches per day direct from the Unilad TV Arena inside Steinway Billiards. Other matches will be streamed live on the WPS Facebook page. The broadcast will be live and free with HD Quality provided by HighRock Productions. All streams can be viewed on the World Pool Series website—www.worldpoolseries.com. When he won in January, Chinahov proved that he is truly one of the games great young talents. After his victory he publicly expressed his hope that the victory would spur him on to even greater heights. 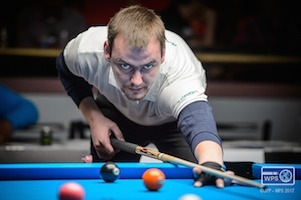 Indeed that wish appears to have come true as the towering Russian just last week captured his first ever European 9-ball Championship in Portugal. He also had four separate quarterfinal finishes in other disciplines in the European Championships. While this type of performance means Chinahov is surely one of the favorites here this week, he isn’t so sure. With the thrill of victory still dominating his emotions, Chinahov feels a top flight performance this week might be a bit too much to ask. The towering 23 year old Russian Ruslan Chinahov powered his way to victory in the Molinari Players Championship in January, the first leg of the World Pool Series. Tour founder Appleton is confident he can parlay the success of the tour’s first event into a living breathing tour with serious momentum that can literally change the professional pool landscape. 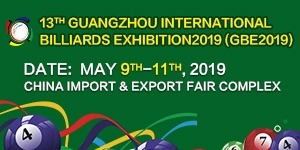 Long suffering pool players were in full agreement as they see before their eyes the development of a player-centric tour, with more opportunities for paydays and the golden chance to reach new and bigger audiences. 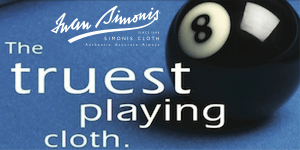 *The second event of the World Pool Series, The Aramith Masters, takes place at Steinway Billiards in Astoria, Queens, New York City from April 5-8, 2017. 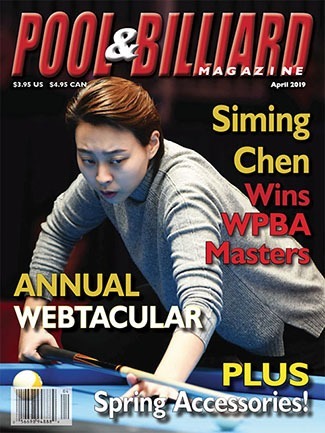 The World Pool Series is sponsored by Aramith, Molinari, Predator, Cheqio, RYO Rack, Iwan Simonis, Kamui, Billiards Digest, Cuescore, Ultimate Team Gear, and High Rock Productions. 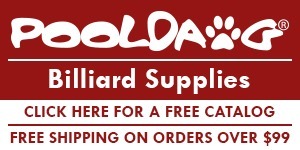 To view the free live stream, visit www.worldpoolseries.com and click the big orange “WATCH” button our home page. Here is the broadcast schedule for Wednesday, April 5.